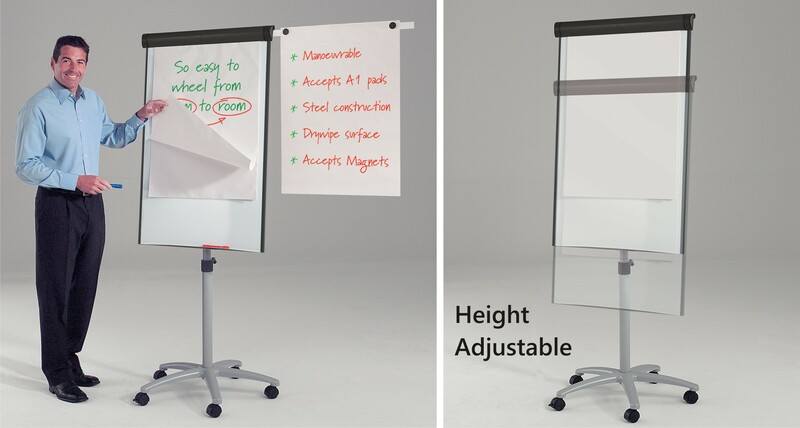 The Buzzard is a Mobile Magnetic Flichart Easel mounted on a five star base with locking castors. 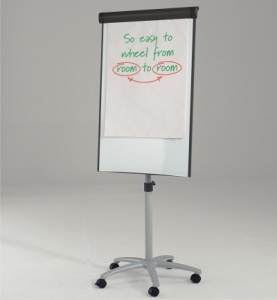 It features a metal pad clamp with hangers to take all standard A1 flipchart pads. 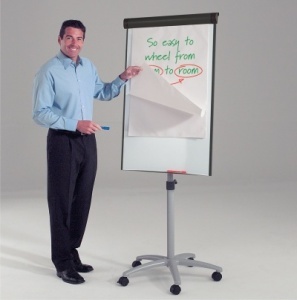 The magnetic whiteboard is height adjustable with spring loaded assist. 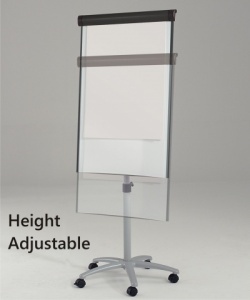 Two side arms are supplied as standard for hanging completed sheets. The Buzzard is supplied with a full length pen tray.